DACportable is a powerful, palm-sized device that turns the average audio of your smartphone, tablet or computer into a concert-hall listening experience. Encased in anodized aluminum, DACportable comes packed with audiophile-grade components. Just plug it in and GO! 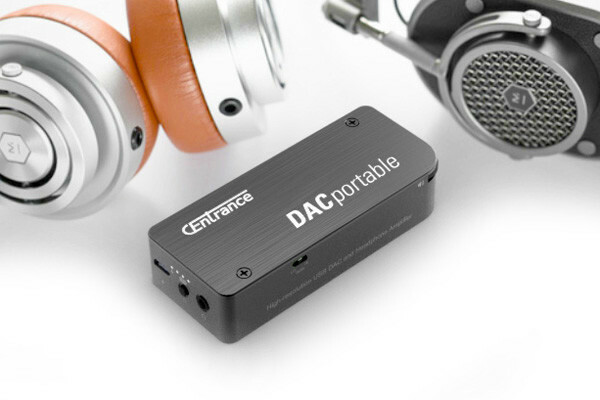 Via a USB connection, DACportable extracts clean digital audio from your portable device, converts it to analog using high-end D/A conversion technology, and delivers pristine audiophile fidelity right to your ear. With features like EQ filters, digital volume control, a quick charge battery and more, DACportable’s high-res sound (backed with 32-bit/384kHz digital audio) will blow away even the most discerning music buff. Plus it’s self-powered, so it won’t drain your phone's battery. The DACportable will also work with future iPhones with or without headphone jacks, preserving your headphone investment!